Samsung’s Galaxy S9 and S9+ both are scheduled to be announced on February 25 at MWC 2018. Just like every year, these flagships are expected to arrive with a bunch of new accessories including an updated DeX Pad. While we have been speculating about this upgraded accessory for quite some time now, today we got our first look at it. 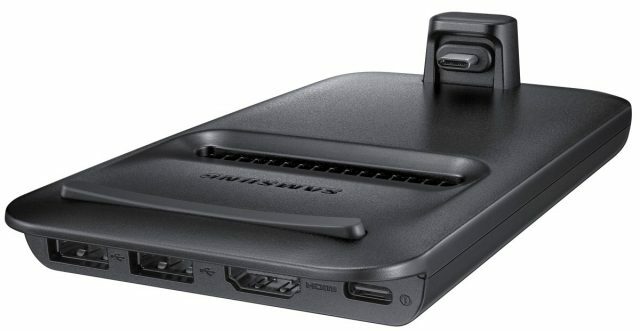 The press renders have surfaced for Samsung’s DeX Pad accessory, and it looks nothing last year’s DeX station. Before we talk about this new accessory, if you don’t know what DeX station is, it lets you dock your Galaxy phone and connect it to an external monitor and other peripherals. So essentially, it uses your smartphone to run a desktop-like environment. The new DeX Pad will replace the DeX Station that was launched alongside the Galaxy S8 and Galaxy S8 Plus last year, and it will work a little bit differently. Unlike last year’s version, the new one will allow the phone to lay flat on its back instead of sitting upright. The reason for this is so that the phone’s display can be used as a touchpad or mouse when the Pad is in use. Yes, the idea is more or less similar what Razer did with the Project Linda laptop dock. Digging deep into the press renders, you can also see the ports on the DeX Pad. There are two USB Type-A ports, as well as one USB Type-C port, and one HDMI out port. The USB A ports can be used to plug-in either the mouse or keyboard, whereas the HDMI port can be used to connect a monitor. The USB C port looks to be for plugging the DeX Pad into a power source. As you see, the phone will connect to USB Type-C port. Although it is not entirely clear, it looks like the DeX Pad also has air vents for heat dissipation and thanks to the rubber piece that sits along the top edge, the phone will be slightly raised from the surface. That being said, the new DeX Pad looks a lot more interesting than what we saw last year. 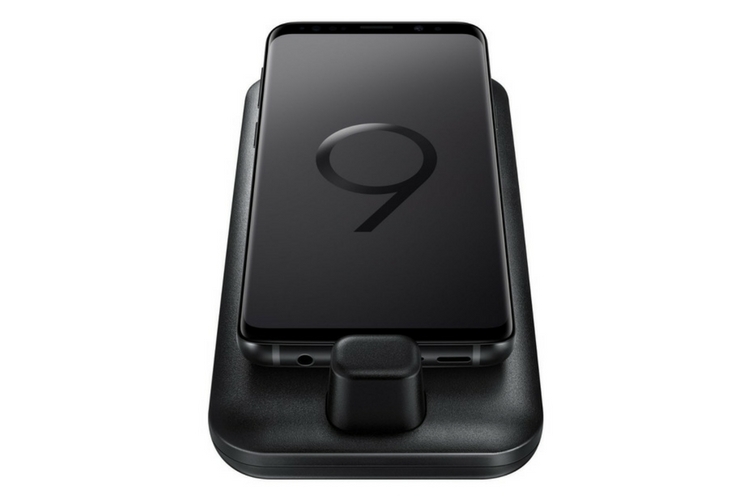 It is also expected that the new DeX Pad will work with the Galaxy S8 and Galaxy S8 Plus, and Galaxy Note 8 as well, since all of them utilize a USB Type-C port for charging and data transfer. However, it is still very early to judge the capabilities of this device since it hasn’t officially released yet.